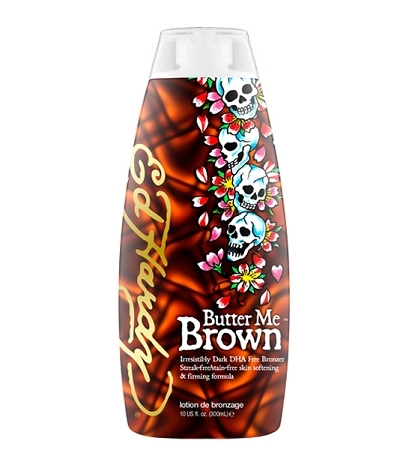 Butter Me Brown™ For dark, just from the beach, flawless color, choose Butter Me Brown. This perfect DHA free tanning cocktail will give you instant dark color with no streaking, no staining & no after tan odor. Melanobronze is added to stimulate melanin production for deeper, darker tanning results. Cocoa & Shea Butter are blended with Almond & Macadamia Nut Oil to insure this sweet formula will leave your skin soft as butter.